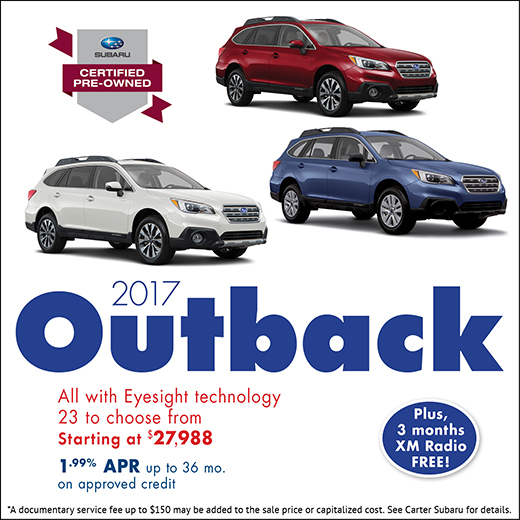 As the largest Subaru dealership in Washington State, we see more trade-in vehicles than almost anyone in the Seattle area. That means we're your source for used and Certified Pre-Owned Vehicles! You'll find a used car selection that includes up to 100+ pre-owned vehicles in a variety of makes and models - plus, we stock dozens of Certified Pre-Owned Subaru vehicles, too. What Makes a Certified Pre-Owned Subaru Such a Smart Buy in Seattle? 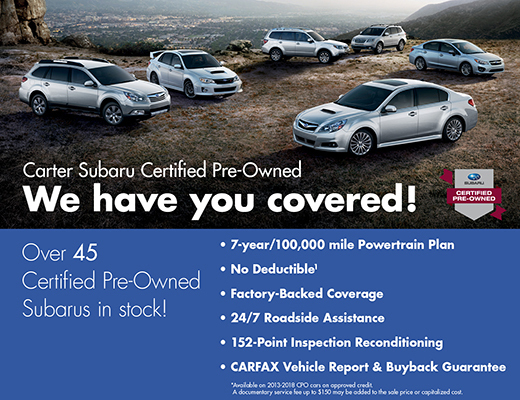 In order to become a Certified Pre-Owned Subaru, a used Subaru first needs to pass a 152-point inspection. Our technicians will carry out any necessary repairs found during the inspection to match Subaru's exacting standards. 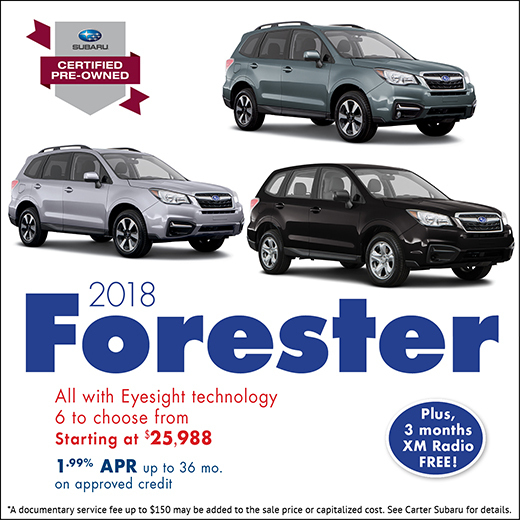 Then, we put it on the market, complete with a 7-year/100,000-mile powertrain warranty, so you have peace of mind that your Subaru will last. It even comes with 24/7 roadside assistance and a $500 loyalty coupon which you can put towards oil changes, new tires and other maintenance procedures in our service department. That means you can get all the durability and benefits of buying new, for less! We're proud to say Carter Subaru Ballard received the 2018 Subaru Love Promise Customer Commitment Award. That means we'll strive to earn your business with a customer service experience that centers around you. Whether you're looking to shop new, used or Certified Pre-Owned, our warm and friendly staff will help you find the vehicle that fits you perfectly, at a price you'll love. Visit our showroom today at 5201 Leary Ave. NW, Seattle, WA 98107.